Marijuana usage has gone up over the past couple years due to things such as media coverage, and its legalization for recreational and medical use in our country. However, I’ve heard before that smoking “weed” kills braincells and lowers your IQ. A study was done in New Zealand on 1000 people from the ages of 13-38. The study found that chronic users of the plant that used it before the age of 18 had their IQ points drop about 8 points before the user turned the age of 38. While this does seem worrisome, it should be noted that there are several studies that make this study a little less easy to believe. For one, the people who were affected was only a small percent of the original 1000 (38 to be exact). Secondly, during the study the individuals were smoking 4 times a week, more then the average smoker smokes. Finally, this study had been going on for 20 years which is above the average amount a time a person usually smokes marijuana. Although this experiment shows that your IQ may go down as a result of smoking marijuana, the likelihood of it happening to an average user remains uncertain. Click here to watch asapSCIENCE explain more effects of marijuana on your brain and the rest of your body. There is little evidence that shows anything in marijuana has neurotoxic effects on the brain. However, when someone inhales THC into their body they overload the dopamine levels giving you a “high.” In an article released in January 2015, it explains the long term effects of the drug. It explains that users could have reduced capabilities remembering things, and will have trouble with learning. Other effects include: breathing problems, increased heart rate, depression, and anxiety. Although average use of marijuana won’t kill you, or seriously harm your body, it should never be taken advantage of. Contrary to popular belief marijuana can become addictive, especially to those who start using the drug before they reach adolescence. Treatment for the addiction usually involves behavioral treatment. As of now there are no proven treatments to get rid of an addiction. This entry was posted in Uncategorized on September 17, 2015 by Michael E Rosenthal. Interesting post! Like you, I have always heard that smoking marijuana can kill braincells, and it is very interesting to know that it can. I think this is some scary information considering how the substance is becoming legal more and more throughout the country, so over time it could have an impact on the knowledge of the users. According to the information i found on this website website smoking cigarettes can also kill braincells. So, we can already start to see how a mass population can be affected by smoking substances that can kill braincells. Thank you for the interesting post and I’m sure we will see more of this come into play in the future! I found your last paragraph the most interesting, which has to do with marijuana being addictive. These days some articles say “its not,” but I really wondered if it is. 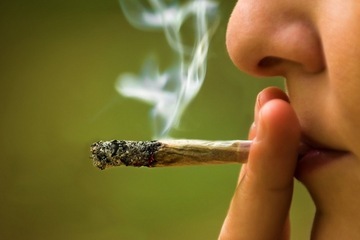 On the following website,http://www.drugabuse.gov/publications/research-reports/marijuana/marijuana-addictive, I found out that it can be addictive because it causes changes in a persons brain. Teen smokers are more likely to become addictive in their lifetime. 17% of people who started smoking as a teenager will become an addict. There are even side effects when an addict stops using marijuana such as: sleeping problems, mood swings, loss of appetite, ect. I think it would be interesting to preform a study where we look at the amount a person smoked in a week and look at how much that increased or decreased as they got older. I found it interesting that marijuana can actually effect you IQ score. Also how marijuana could cause anxiety, depression, and trouble breathing for people who abuse the drug. I would also have to agree that marijuana can be come addicting not in a physical sense, but in a mental sense.